The International Summit-Conference “Climate Change in the Mediterranean and the Middle East: Challenges and Solutions”, on the 18th and 19th May 2018, will address the scientific basis of Climate Change in the region, its various impacts and challenges (Health, Water, Food, Tourism, Migration…), mitigation/adaptation strategies, policy challenges and governance. This conference will be preceded by two days of “more focused” scientific workshops (16th and 17th). The pre-conference workshops will examine in detail issues related to Air pollution and Climate Change, and interconnections with Energy, and Agriculture in the region in view of the ongoing of climate change. 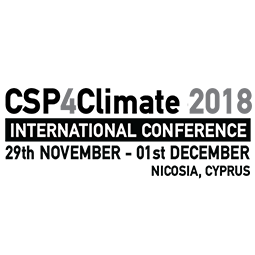 The overall goal of the Summit-Conference would be to launch a “Nicosia Declaration” regarding the scientific basis of Climate Change in the region, including the high-level propositions for mitigation/ adaptation strategies.